The Midnight Sun is a special summer Arctic phenomenon. Much like its winter counterpart, the Northern Lights, it is something that puts you in awe of the natural world every single time you see it. In high school I had a friend and teammate who was from Alaska, and she used to mesmerize us with stories of bears, fishing lodges, and 24 hours of light sky. At that time, I never imagined I would ever get to experience something similar, but here I am 13 years later sitting on the couch in Greenland with the lovely view you see above! Technically, the Midnight Sun only occurs above the Arctic Circle (66*N) where the sun never sets below the horizon for a period of anywhere from 6 weeks to 6 months! But what many don’t realize is that even destinations below the Arctic Circle still feel the effects of the Midnight Sun. For example, the photo above was taken at exactly midnight in Nuuk, the capital of Greenland, which lies 204 km / 127 mi below the Arctic Circle at 64*N.
To the untrained eye, this probably looks like the Midnight Sun, huh? I’ll hand it to you, it certainly doesn’t look like any midnight I ever witnessed in Washington, D.C.! Check Out the Brand New Version of Greenland.com! Now LIVE! Where else in the world can you fly low and slow over an Ice Sheet, sensing that you can somehow see millennia right before your eyes? 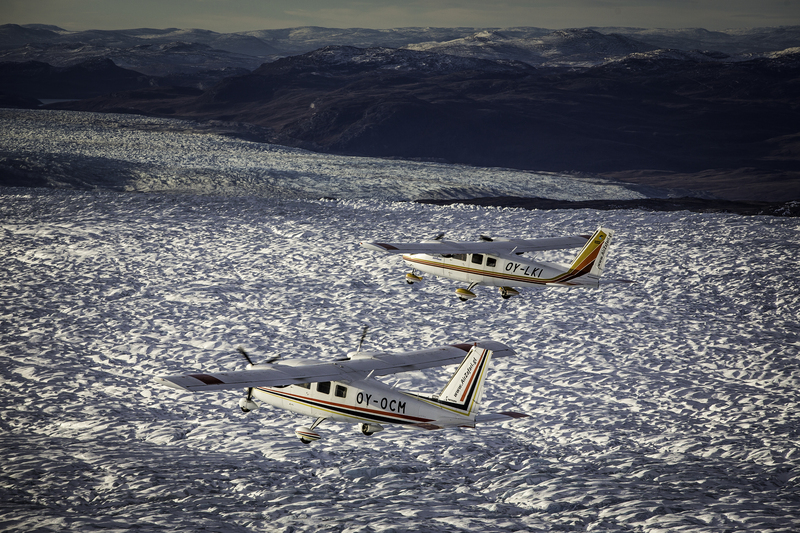 Flightseeing in Greenland is just one of many activities you can experience here! Photo by Mads Pihl, Visit Greenland. Check out the brand-new version of Greenland.com, the official tourism site for Greenland – now LIVE and more impressive than ever! Sermitsiaq.AG, a national newspaper, calls the new website “a more modern and visually beautiful edition” (translated). Do you ever wonder if you can fulfill your greatest travel dreams and wishes in Greenland? Perhaps you are an avid trekker looking for a long walk in the nature to get away from the hustle of everyday life? Or maybe you’re a world history fanatic who loves to learn about cultures different from your own? The Things to Do pages show you exactly how you can make your greatest interests a reality in Greenland, as well as open your world to dozens of other activities that are possible in this beautiful country! Or maybe you are already dreaming of Greenland but would like to know where the hotspots and best places to experience the Big Arctic Five are? The Destinations pages lead you on a virtual trip around Greenland inspiring you with photos and short articles about nearly every town and village in Greenland! There are also oodles of resources and tools on the website to help you Plan your Trip and learn more About Greenland. Happy reading to you all! Or as one says in Greenlandic, Atuarluarisi! 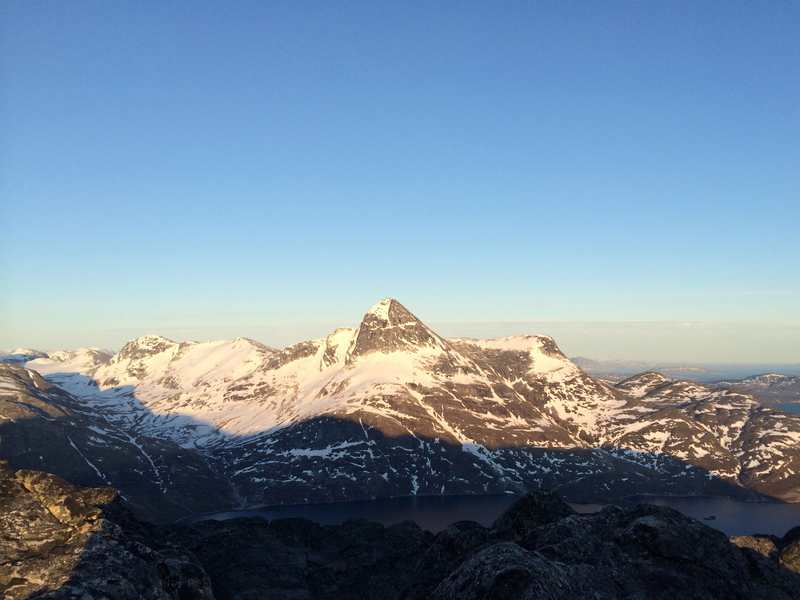 PHOTO GALLERY: Hiking Ukkusissat: Good enough to do 2x in 24 hours! 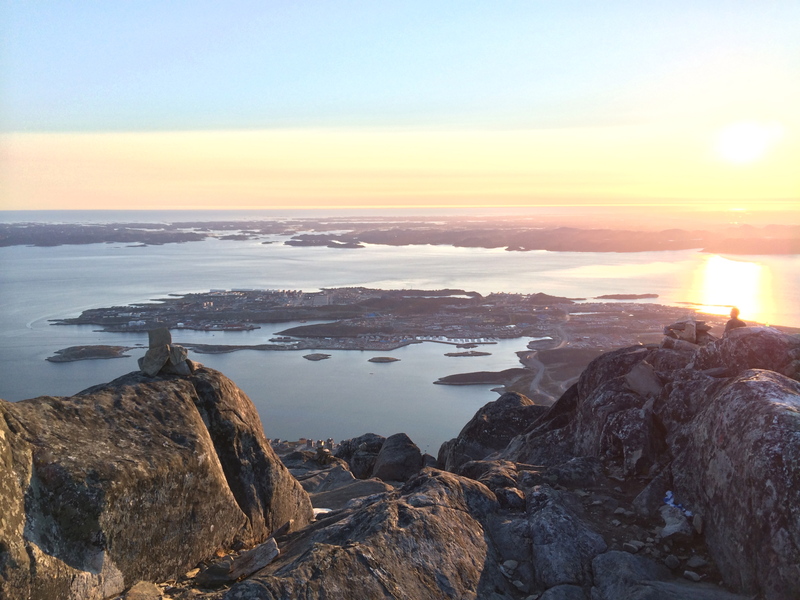 The beauty of Nuuk is that one minute you can be in the city and the next minute you are in the great outdoors! Shot by Mads Pihl, Visit Greenland, on 20 June 2014. 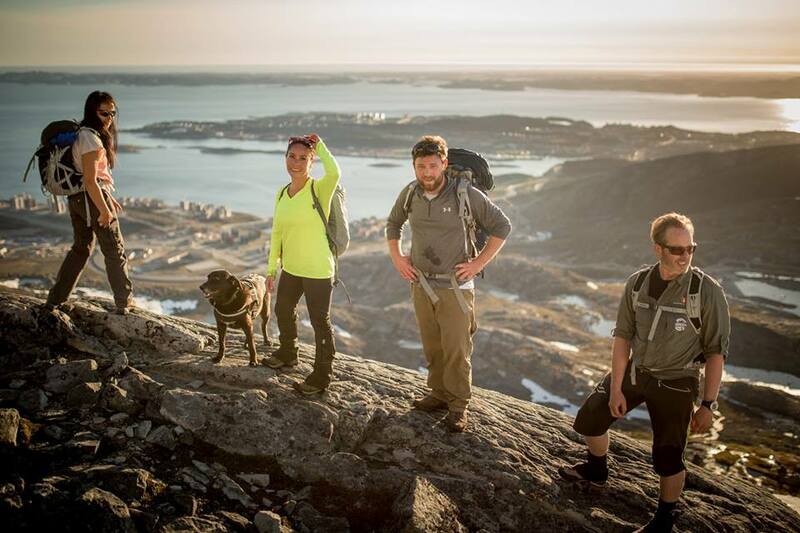 If there was an official “Top 10 Things To Do in Nuuk, Greenland” list, hiking Ukkusissat (a.k.a. Store Malene) would be at the top for you Nature Lovers who crave an afternoon in the mountains and who will work a bit for a good panoramic view! Ukkusissat has a strong presence in Nuuk as its snowy top can be seen from every corner of town. Whether you are sitting on the terrace of your AirBnB in Qinngorput neighborhood or are strolling along the pedestrian walkway in city center, Ukkusissat screams, ‘Get up here already! Come look out at all of Nuuk and Nuuk Fjord and pinch yourself because you are nearly at the top of the world!’ And for those whose eyes are always like magnets to the highest point wherever you go, well, you will probably set your sights toward Ukkusissat long before the Dash-8 even hits the runway. Greenlanders live a life close to nature, so we are lucky to have views like this even at the breakfast table. Ukkusissat shot from Qinngorput on 18 September 2013. Being in the Greenland nature with good company makes my heart happy. Shot by Mads Pihl, Visit Greenland, on 20 June 2014. 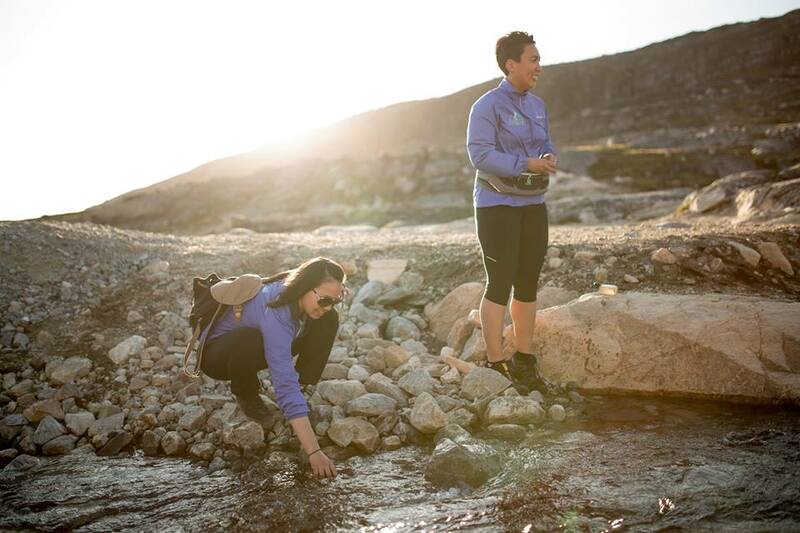 The water in Greenland is pure and delicious! Shot by Mads Pihl, Visit Greenland, on 20 June 2014. Snow at higher altitudes provides a welcome cooling effect (and hydration source) while hiking Ukkusissat. Shot by Mads Pihl, Visit Greenland, on 20 June 2014. Here’s the thing with having a professional photographer in your hiking group – he gives you great photos from the night, but he’s always working! Which means you, an unsuspecting model, are also working! The talented (former) Visit Greenland photographer himself, Mads Pihl, still working at 760 m / 2493 ft, on top of Ukkusissat. The sense of awe and accomplishment one feels at the top of Ukkusissat is enough to make one want to do it all over again the next day! Shot by Mads Pihl, Visit Greenland, on 20 June 2014. One can easily find pleasure in solitude in this wide and untouched land. Shot by Mads Pihl, Visit Greenland, on 20 June 2014. Perhaps the neatest thing about hiking the very same route the following morning was seeing the stark differences in light. In the late evening, when the sun is quite low, the sky and mountains and sea are cloaked in a beautiful warm glow. In the daytime, when the sun is high overhead, everything is blue and bright! Both times of day are nice, but I think the evening light is the most magical! When you are so high on Ukkusissat, you can scan the surrounding fjords for your next adventure! For instance, Sermitsiaq is another hiking dream of mine. Shot on 20 June 2014 at 22:40. Toward Sermitsiaq. Shot on 21 June 2014 at 12:00. Toward Kingittorsuaq, a delightful mountain to hike 🙂 Shot on 20 June 2014 at 22:40. 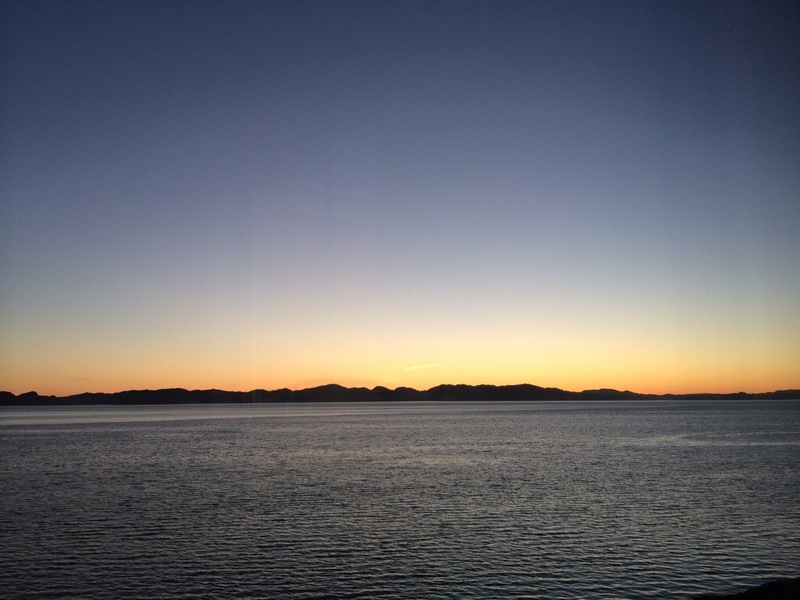 Toward Nuuk city. Shot on 20 June 2014 at 22:40. Toward Nuuk city. Shot on 21 June 2014 at 12:00. Name: Ukkusissat means “soapstones” in Greenlandic. Sometimes it is also written as Ukkusissaq which is just the singular form. The Danish name (more commonly used) is “Store Malene”, meaning “Big Malene”. Height: Ukkusissat is 760 m / 2493 ft tall. Location: Ukkusissat stands behind the Qinngorput neighborhood, approximately 4.8 km / 3 mi from Nuuk city center. 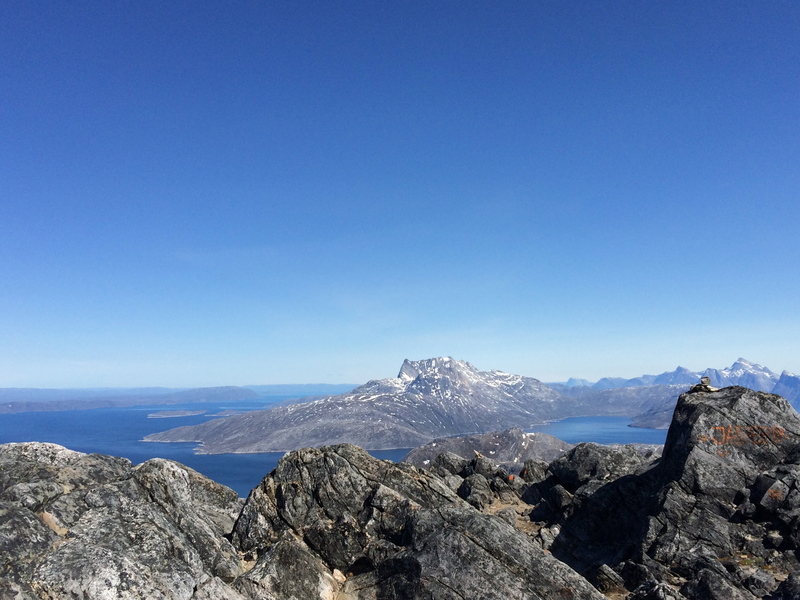 Ukkusissat is the taller of two mountains in the immediate Nuuk area (Quassussuaq, a.k.a. Lille Malene, is the other at 443 m / 1453 ft). Access: Ukkusissat can be reached using Nuup Bussii public transportation toward Stop 41 Qarsoq/Asiarpak (15 DKK / 2.75 USD per ride). Always consult a bus schedule first. The best bus to catch is the #1, because it runs directly between city center and Qinngorput, 7 days a week. The #1A is another direct bus between city center and Qinngorput, and it runs every day but Sunday. There are 3 other buses (#3, #X1, #X3) that reach Qinngorput, but they are either less-direct, only run on weekdays, or do not go all the way to city center. Hiking Time: Hiking time always depends on one’s physical fitness/hiking experience, weather conditions, and ground conditions. From personal experience only, it takes approx. 1 hour 40 minutes to reach the top of Ukkusissat. The conditions were near-perfect, and I consider my hiking level to be Experienced on a scale from Novice to Experienced to Expert. For Novice hikers or for those who wish to stop and thoroughly enjoy the views, it could take nearly 3 hours to reach the top. Difficulty: Difficulty depends on one’s physical fitness/hiking experience, weather conditions, and ground conditions. There are areas on Ukkusissat where one must use his hands for support to make large steps up (bouldering) and where one must walk in snow. From personal experience only, Ukkusissat has Medium difficulty on a scale from Easy to Medium to Hard (and again, I consider my hiking level to be Experienced on a scale from Novice to Experienced to Expert). Route: Follow the route marked by Orange dots painted on rock or cairns. One can also buy detailed hiking maps for Nuuk (and other towns) in Atuagkat Bookstore. 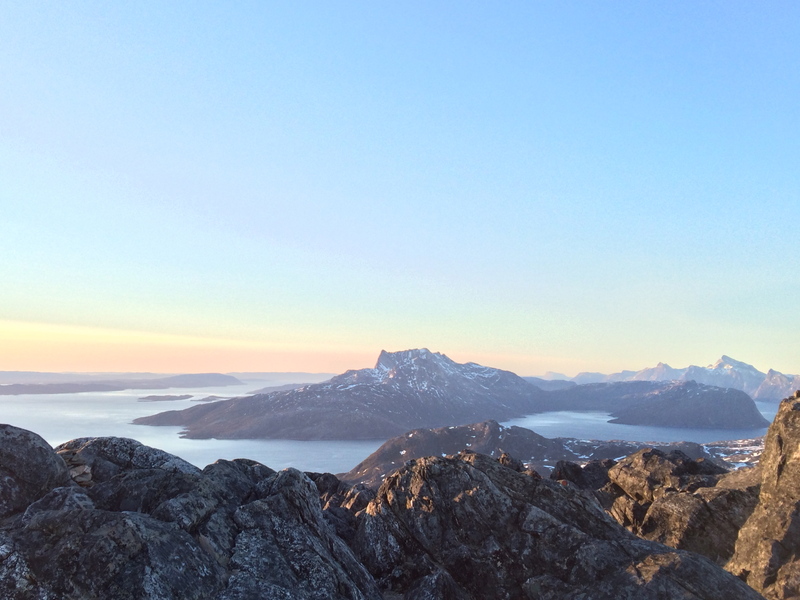 Seasonality: The best season to hike Ukkusissat is summer / early autumn, when there is the least snow present. One should take the utmost caution when hiking in snow because rock crevasses may be present and the snow might not be thick enough to hold body weight. Snow also limits visibility of the marked route. The weather can change quickly in Greenland, and one should be prepared for many conditions! Always check the weather before you start a hiking tour. Last but not least… Don’t forget your adrenaline and sense of adventure !! !